For a few months the island was quiet under Napoleonic rule. But when it became apparent that the French intended to re-establish slavery (because they did so on Guadeloupe), Dessalines and Pétion switched sides again, in October 1802, and fought against the French. In November, Leclerc died of yellow fever, like much of his army, and his successor, the Vicomte de Rochambeau, fought an even more brutal campaign. His atrocities helped rally many former French loyalists to the rebel cause. The French were further weakened by a British naval blockade, and by the unwillingness of Napoleon to send the requested massive reinforcements. Napoleon had sold the Louisiana Territory to the United States in April 1803, and had begun to lose interest in his ventures in the Western Hemisphere. Dessalines led the rebellion until its completion when the French forces were finally defeated in 1803. The last battle of the Haitian Revolution, the Battle of Vertières, occurred on 18 November 1803, near Cap-Haitien and was fought between Haitian rebels led by Jean-Jacques Dessalines and the French colonial army under the Viscount of Rochambeau. On 1 January 1804, from the city of Gonaïves, Dessalines officially declared the former colony's independence, renaming it "Haiti" after the indigenous Arawak name. This major loss was a decisive blow to France and its colonial empire. 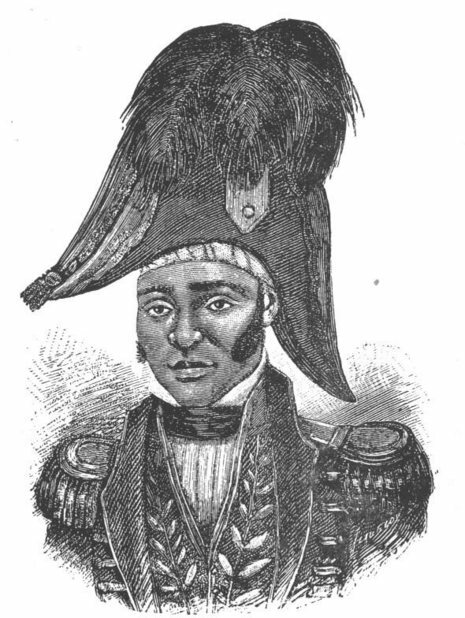 With the death of Toussaint, the revolution was carried on by Jean-Jacques Dessalines. Unlike Toussaint, he was angry over his treatment as a slave and was determined not to allow its return. The war fought between Leclerc and Dessalines was, on both sides, one of the most horrifying struggles in history. Both resorted to atrocities. Leclerc was desperate, for his men were dying of yellow fever and the guerilla attacks took a surprising toll. So he decided to simply execute blacks whenever and wherever he found them. The slaughter that he perpetrated on non-combatants would not really be equalled until World War II; Leclerc's successor, Jean-Baptiste Rochambeau, simply continued this policy. Dessalines responded that every atrocity committed by the French would be revisited on the French. Such was how the war was waged. As the fighting wore on, Dessalines ordered the summary execution of all Europeans that opposed the new revolutionary government. During this time, Napolean's government did little to help the harried French troops.